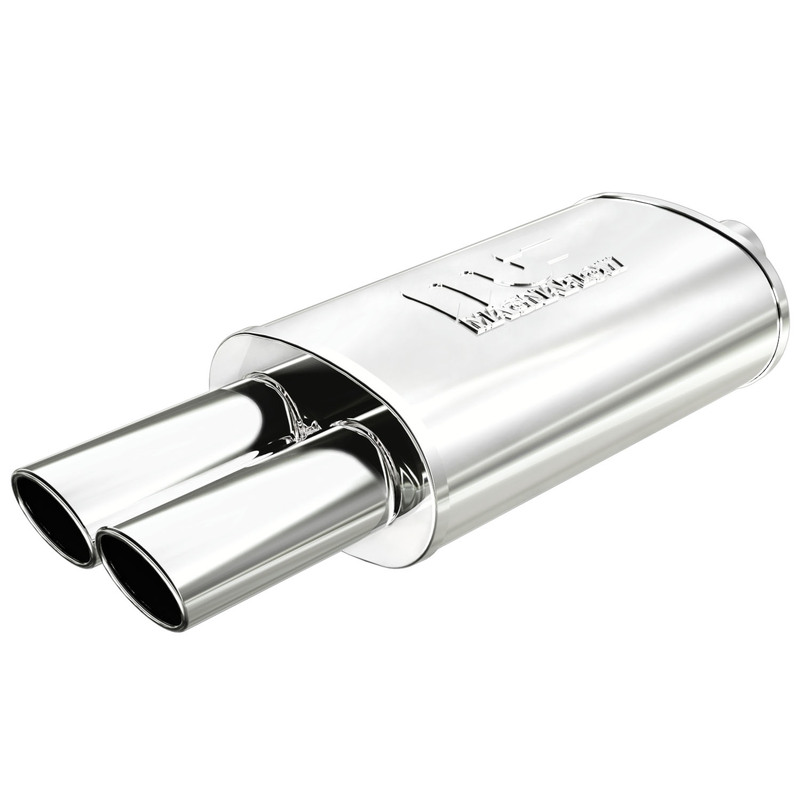 Magnaflow Street Series Universal Muffler With Dual Tips Inlet/Outlet: 2.25"/3.25" x 2.5"
Magnaflow Universal Mufflers with Tips are polished stainless steel with a mirror finish for great looks. A deep, smooth tone is what make these Magnaflow Mufflers sound as good as they look. The high-flow design reduces engine heat and back pressure, which yields more power and improves fuel economy. .
Street Series Mufflers contain high flow tuning with a balanced interior and exterior sound. Race Series Mufflers contain a competition core with straight through power with maximum flow and an aggressive sound. Tunable Mufflers have an adjustable sound damper so you can customize the tone. Exhaust noise levels are tuned to your personal preference.